In 2011, the Montreal Museum of Fine Arts introduced “The Fashion World of Jean Paul Gaultier: From the Sidewalk to the Catwalk”, the first exhibition devoted to the famous fashion designer. Paprika was commissioned to design a monograph of this icon of haute couture. During the book design process, the designer showed desire for a book which wouldn’t sink into superficiality and excessiveness, but rather reflect his talent simply and efficiently. Though we respected his wish for sobriety, we nonetheless worked on an original cover. 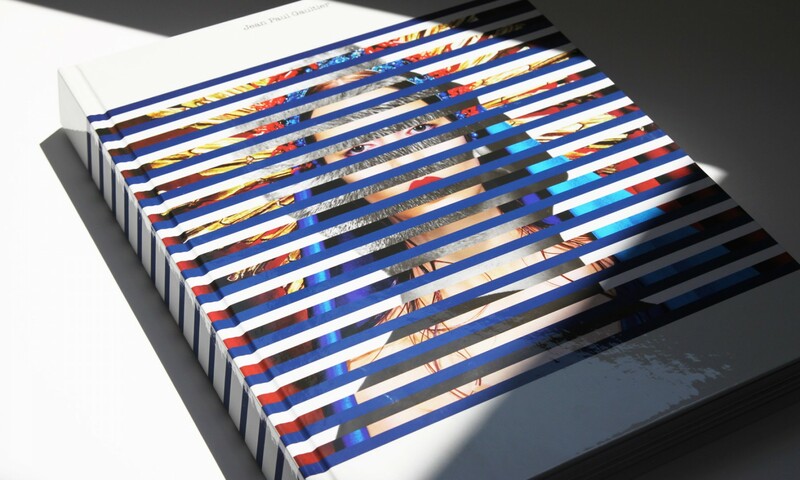 The large-format book was first published in both English and French and more than 30,000 copies were distributed worldwide. As the exhibition was presented in many great international cities (Dallas, San Francisco, Madrid, Rotterdam, New York and Stockholm), the publication reached a wide public.